Changes in the pattern of question papers for the Class XII Central Board of Secondary Education exam, and a clear shift away from ‘objective-type’ questions to ‘application-based’ ones, will make it significantly harder to score this year. The number of questions in subjects such as political science, economics, business studies and accountancy has been reduced; at the same time, the number of “long answer” questions has been increased and two-three markers reduced. And all of this, say teachers, became known when the sample papers came out. “The number of questions has been reduced from 31 to 27 in political science. Now there are five one-mark and five two-mark questions instead of 10 of each,” says Tania Joshi, principal, Indian School. “Children who are below average scored in these. Now there are more analytical questions. The marking will also be more subjective.” “We got to know about the changes when the sample papers came in and those came very late this year—in November or December,” says Joshi. The increased stress on long-answers will please college teachers—especially of the humanities and social sciences – but Joshi argues that bringing sudden changes also defeats the purpose of CCE (continuous comprehensive evaluation) which was to reduce stress. “We started uploading HOTS questions online every month after we got to know about the change,” says Usha Kaul, economics teacher at Delhi Public School, Mathura Road. The total number of questions has reduced from 32 to 29 in economics; there are eight six-markers now instead of six; and the number of one and three-markers has been reduced from 10 to eight in each case. They were able to incorporate the changes in their pre-board exams. “Only 20% of my students were able to score in the 90’s so there certainly will be an impact,” she says. 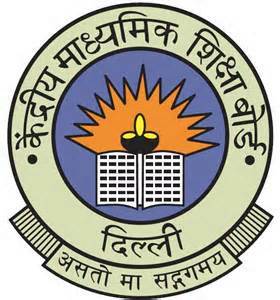 “Such changes are always based on the subject committee recommendations,” says a CBSE official. Though schools maintain that changes were announced late, CBSE claims this information was available as part of “curriculum documents” for a year. The idea, explains the official, “is to de-emphasize rote-learning and move towards more exploratory and evaluative lessons”.